Pitting fan-favorite Nintendo characters in a 2-D arena, Nintendo’s Super Smash Bros. video game does not immediately evoke a competitive atmosphere at first glance. 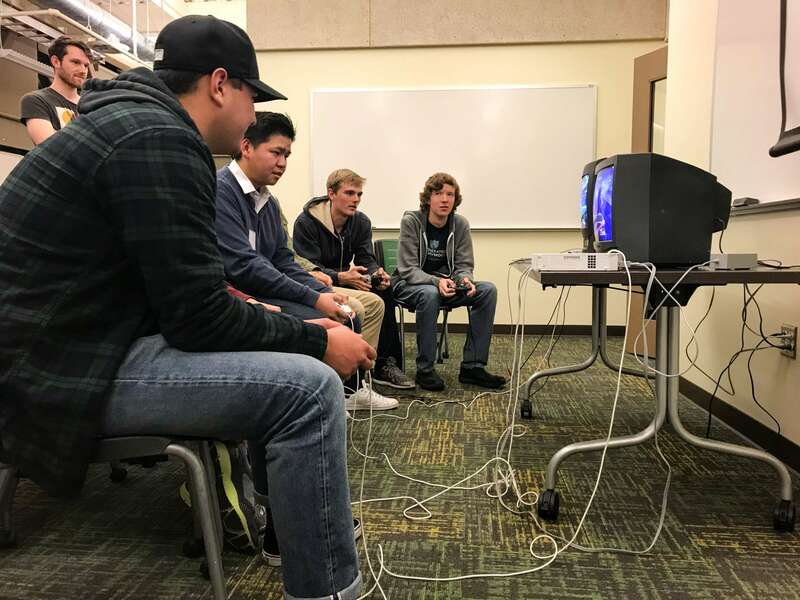 However, here at Cal Poly’s campus, the SLO Smash Club holds competitions for smash every week. This club is one of many dedicated to playing this game series on college campuses. But the breadth of the tournament scene does not stop there. Super Smash Bros. is played competitively worldwide. Competitive video games are usually played for a while after their release and gradually drop off as the years go by. Super Smash Bros. seems to defy this pattern. One game played by the club is more than 16-years-old, yet is still played competitively by thousands of players. We went to one of the club meetings to ask members what they get out of competing.